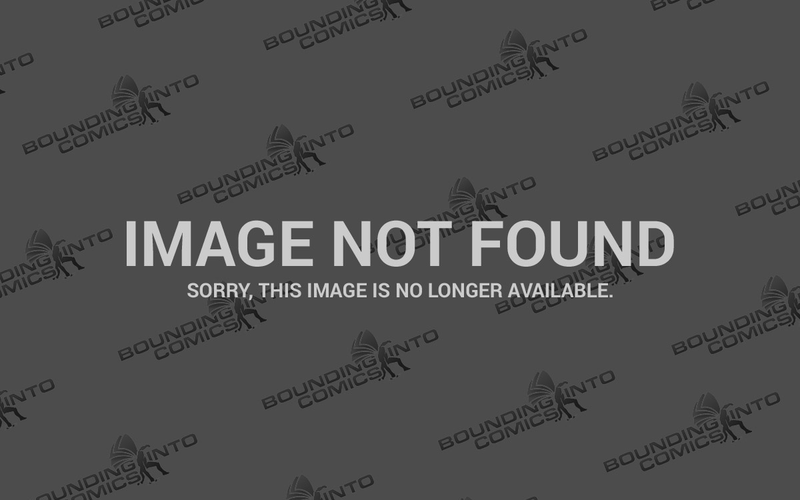 Wynonna Earp #1 is a semi-reboot to tie into the new TV series on the SyFy network. It’s written by Beau Smith (the character’s creator) with art by Lora Innes and colours by Jay Fotos. Our story opens with a single page of exposition dump to get new readers up to speed and introduce us to Wynonna herself, the descendant of Wyatt Earp. She’s part of a branch of the U.S. Marshals Black Badge Division which deals with supernatural bad guys. We also get some background info on the Big Bad named Mars Del Rey, head of the Chupacabra Cartel who ‘harvest’ human organs for sale to paranormal clients. It’s a straight up adventure tale with a number of standard beats. While I am a fan of Mr. Smith, this is not his best work. It feels a little rushed, and the dialogue has a stiff feel to it in many places. There are problems inherent in doing a TV adaptation, and I can’t even conceive of how difficult it would be to try to take your original creations and re-tool them to fit the changes required by the constraints of a SyFy series. But Smith has done a good job of bringing us into his world, without doing any exposition dump except for the first page. Things have changed between this version and his original adventures of Marshal Earp, including some things that amusingly enough were original when the comics first came out, but are approaching cliché now. Characters that were vampires have changed to demon cannibals, etc. All in all the changes are good things, and will breathe new life into the mythos. What we do get in this issue are the three main characters, introduced in ways that give us some broad insights into their personalities, and their working relationship, presumably at the start of the TV series. The pacing is a bit off, but we get a good action sequence and the aftermath. There is a three page talking heads scene which does some interesting character development, but doesn’t advance the story until the last panel. It could have been shorter and affects the pacing. One of the good things about Beau Smith is that he’s an old school comic writer. There is no extreme decompression here, there are good panel counts (4-7 per page), good amounts of dialogue, and actual conversations instead of pontificating soliloquies. The art is very serviceable if a bit sketchy (which works well for this title). The layouts are standard, and the camera angles rarely exciting, once again feeling rushed. The faces are distinct and expressions are usually good, though there are some exceptions. I can see that these are all things that are going to improve as the artist gets more familiar with the characters and the world. A solid story and art, good for a TV tie-in, but I am hoping for it to quickly become something more. This is Beau Smith’s signature character, and even with the changes due to the TV series, I’m hoping it grows into something with staying power. I am also hoping that the rushed feel of the book was simply to get it on the stands before the TV series debuted, and that future issues will show more of what Smith and the art team are capable of.